In recent events, an Asian fashion retail shop was targeted by ram raiders in Alum Rock Road, Saltley. 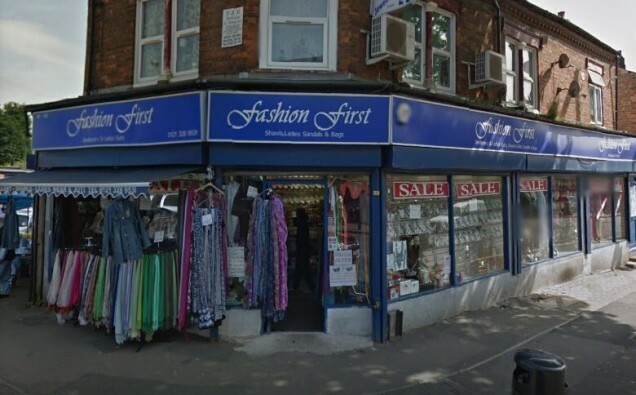 West Midlands Police investigated the incident after a car crashed into the front of the Fashion First retail shop in the early hours of a Saturday in March last month. The scene of the crime was covered with blocks, broken glass, and metal fragments. There was additionally damage to a portion of the business from the inside. Despite the fact that no injuries occurred, enquiries are still being continued. There have been a various instances of ram raids targeting public places in the Birmingham area recently. Businesses which have been attacked include: Saltley Post Office, the Nationwide Building Society in Small Heath, and Lloyds Bank in Bordesley Green. Two armed burglars have been imprisoned after carrying out terrifying bank assaults across the city, which saw staff and clients compromised with an imitation weapon. Any individual/s that has information identifying with this occurrence is urged to contact West Midlands Police through Live Chat at west-midlands.police.uk between 8am to midnight. Otherwise they should call 101 whenever, or contact Crime stoppers discreetly on 0800 555 111. A similar incident occurred last year, when a bridal shop in Alum Rock was smashed into. The shop owner revealed the details of an assault at his store which left his wife with a broken arm and nose and the couple fearing for their lives. Father of-five ‘Ali’ as he wishes to be known, was the 48-year-old business man at the centre of the terrible rampage inside his Alum Rock party-wear boutique, which occurred on Saturday 21st July 2018. He has branded the gang who propelled a vicious strike on him and his 46-year old wife at Seher Boutique, ‘animals’. They added that they were worse than animals, but even they would not do that. Ali and his wife are still not entirely recovered from the attack on their family business which occurred almost one year ago. The surrounding community remain vigilante and precautious from the threat of such future events taking place.